Today was a bit of a sad day. After hearing that we’d be doing the Saint Paul Farmers Market this coming year, we’re getting out of the cow/calf business (at least for the time being). 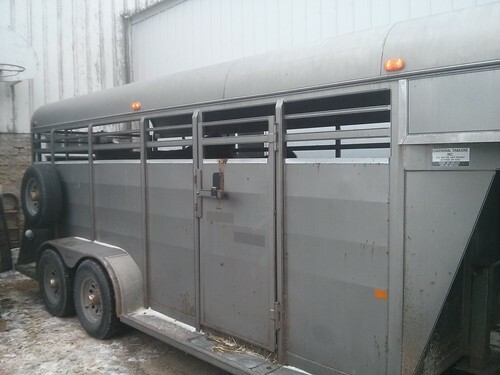 We loaded up all of our eleven bred cows and the bull into the livestock trailer and hauled them to the other side of town where they’ll be put up for auction in tomorrow’s bred-cow auction. 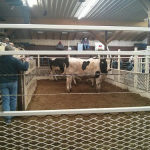 After a quick assessment of the sales figures of the Saint Paul market we concluded that we’re going to be able to sell many more cattle than we can raise ourselves. When we came up with the grazing plan with the NRCS this summer we came up with a pasture carrying capacity of 35 head of cattle. In all likelihood we’re going to be able to sell 35 cattle per year with our new market. That means that we don’t have enough land to support 35 feeder cattle (the cattle we sell as beef) as well as their 35 mama cows and a bull. Until we can rent, lease or buy more land (which will be a while at current sky-high land prices) we’ll have to settle for raising feeder cattle only. This is going to make things a bit harder for us, as we are giving up control of our cattle genetics, and forcing ourselves out onto the feeder calf market (which is also sky-high right now) to procure all the calves that we’ll need. 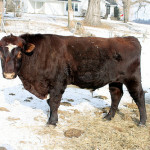 After our bull and cows are sold at the auction tomorrow we’ll be plowing that money right back into more feeder cattle, enough to get us through the coming year of farmers markets. With the recent improvements in our fences and watering system, we should have plenty of grazing to get feeder cattle fattened up on. With no breeding or calving to worry about we will be able to concentrate more on maximizing our grazing and turning grass into beef. This is a very interesting development. How did you get a slot in that market? If they are worth so much money how do they allocate them? 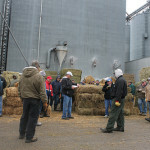 Best of luck with the feeder cattle. Are you going to stick to one breed of cattle? We got the slot in the Saint Paul market by sheer luck. We happened to be the only new beef vendor at the market during the year in which a 15-year veteran of the market was retiring. Right place right time I guess. 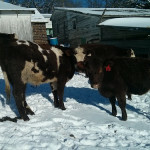 As for the feeder cattle, we’re going to get them where we can this year. I think it’d be nice to establish a relationship with a cow/calf producer (or two) and get a steady supply of calves for the coming years. For the coming year this is not going to be a viable option, as we have only 4 months to prepare. Well that’s good luck for you! Congratulations. I like how you are figuring out how best to use that luck. Building a good relationship with a cow/calf operation or two would be ideal. Been wondering about that myself as we keep on growing sales. 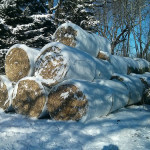 Then again, each year we run more cattle and use less hay so we can keep growing for a bit. Can you send some photos from the market itself?